A yet to be identified lady who has been pregnant for two years, allegedlyy gave birth to a lizard at Omoku market in Rivers state. What a tragedy a woman with two years pregnancy finally delivered a live lizard in Omoku Market today. 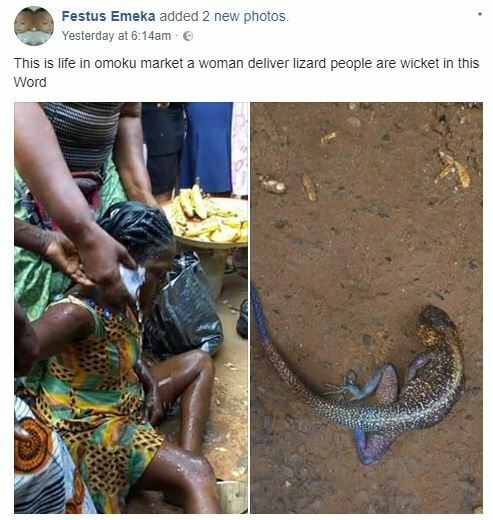 Speechless…..God forbid… a woman after two years of pregnancy..giving birth to a lizard…in market omoku…it was a big shock to me.